For about 15 years, Cécile Schott has explored her ideal sound world with tools ranging from samples and synths to classical guitar and viola da gamba. Her fifth record, 2015's Captain of None, used mainly her voice and treble viola da gamba, but for her newest record, she switched out the viola da gamba for just synths and effects pedals. The result, A Flame My Love, a Frequency, is just as shimmering and lush as any of her past work, thanks to her refined compositional approach to looping, layering and tweaking her instrumental and vocal melodies. 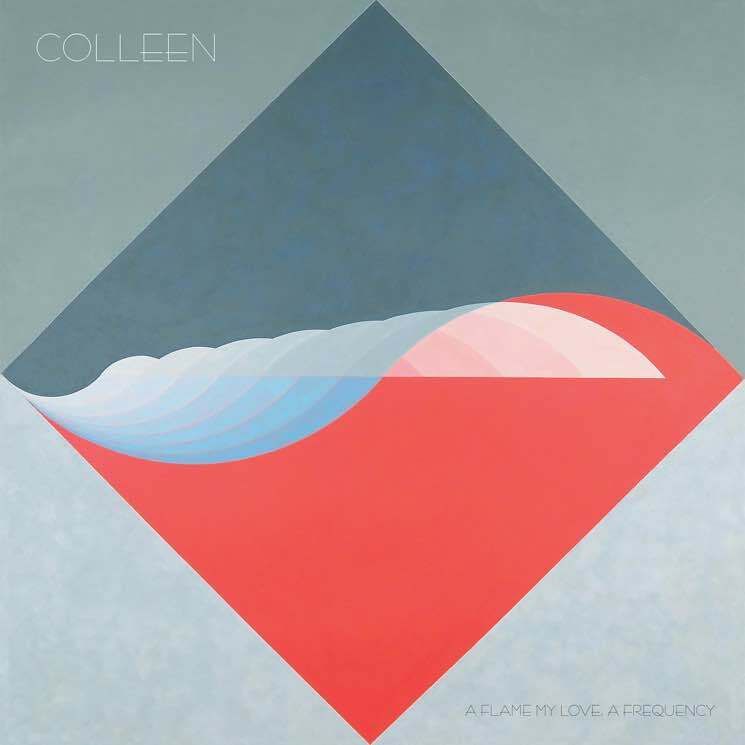 Colleen's voice has the hushed timbral warmth of Imogen Heap or Björk at their most intimate, but she treats her voice like just another instrumental texture rather than the focus, skewing more towards post-rock than pop. These compositions also sound more in line with Philip Glass-inspired minimalism or Delia Derbyshire's electronic experimentation than the dub reggae rhythms that informed her previous record. A Flame My Love, a Frequency is said to be about the inseparability of life and death, influenced by family tragedy and Schott's proximity to the Paris attacks of November 2015. "Separating," which seems to be a meditation on loss, features sparse, mantra-like lyrics from Schott, and "Winter Dawn" grapples with tragedy while finding inspiration in nature — possibly even hope. The title track ends the album with a very strong sense of being at peace with death, including the lyrics "so stillness now can reign again," and "I will call you when the sun has reached the final hour."